Question 1: What is eCitizen? Answer: eCitizen is a portal for you to access information and services provided by the Kenyan Government. Question 2: Why should I sign up with eCitizen? Answer: Signing up with eCitizen allows you to apply for government services and pay online. Question 3: How do I sign up with eCitizen? Answer: You need a Single Signon account to sign up with eCitizen. Click on the “Login” link at the top right corner of any page and you will be led through simple registration steps. Question 4: How do I login to eCitizen? Answer: Click on the “Login” link at the top right corner of any page and sign in with your Single Signon. If you asked me, those questions are very simplistic, lazy and unnecessary. Important questions such as Question 5: How do I pay for eCitizen services? are missing. 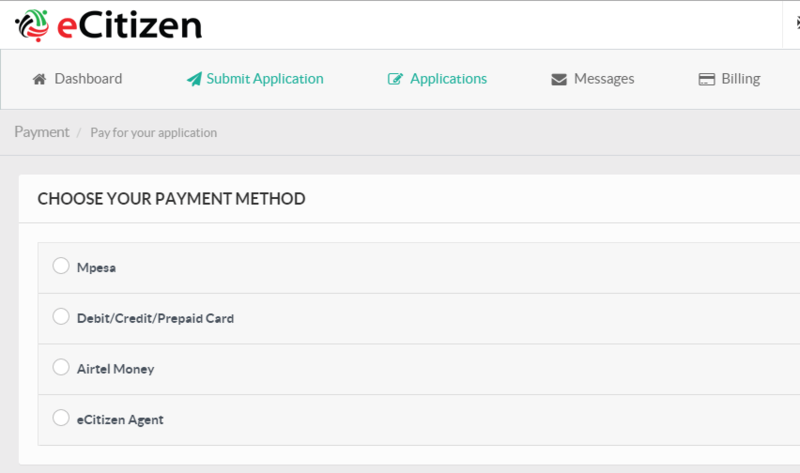 Browsing through the eCitizen website I didn’t get any payment information anywhere. The website also lacks a simple search bar. The only way to find out how to make payments is to request for a service, e.g. search for a business name. When you go through the process of business name search, you’ll end up at a payment window interface as shown in the screen shot below. It is from the payment Window that you will learn that your payment options are basically four 1. To use MPESA, 2. Use a card, 3. Use Airtel Money or 4. Pay a visit to some eCitizen Agent. The last three are not conducive at all. For starters, I am not a proponent of card based payments so there is no way I can champion payments using cards. Airtel Money on the other hand is a mode of payment I can bet you do not have. Lastly, who wants to walk to eCitizen Agent to queue for hours to pay for a simple service like business name search that charges only Shs 150? Also, how near is your eCitizen Agent? Do you know any? I don’t. Another disadvantage of the eCitizen portal is that it hasn’t provided information as to who is an agent and where I can find them. 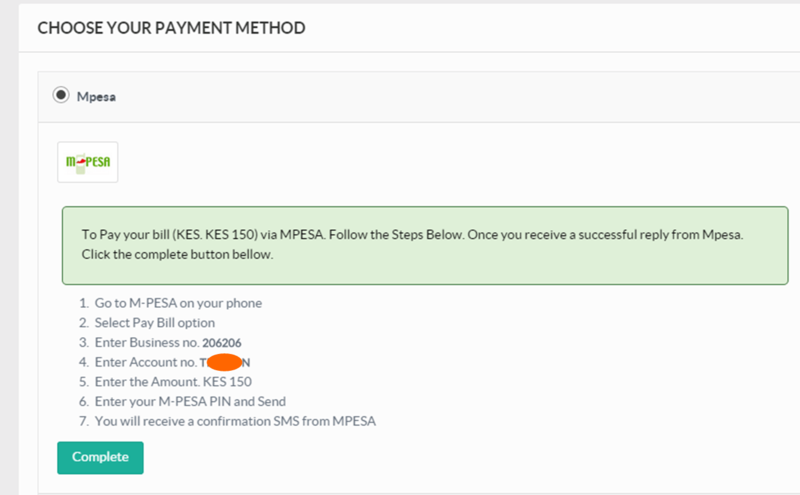 This leaves me with only one important method of making eCitizen payment, MPESA. MPESA is not only convenient because you would normally have some MPESA balance in your MPESA account, or easily transfer money from your Bank to the MPESA Account, or even get your MPESA agent less than a hundred steps away from your current location, but it also does away with the need to carry with you hard currency, and we all know the risks associated with carrying hard currency. The risk, on my part, is that I usually lose hard currency as they have a tendency of getting their way out of my pockets. Two important things to know from the above instructions: 1. The eCitizen MPESA Paybill number is 206206 and I asked you to save it in this previous article, and 2. The fact that I have hidden the account number. Each service request at eCitizen generates unique account number associated with that particular transaction. In this way, you do not need to remember any account number. If I didn’t hide the account number in the example above, some of you would end up paying Shs 150 to that account number and that would be a waste of the transaction fees associated with such payment. The point is, just remember eCitizen will give you a unique account number to make the payment to. Next time you want to make your eCitizen Payment via MPESA, you now know exactly what you’ll be required to do. If there is something that’s not very clear, reach me via the comments section below or via Twitter. PoWiFi – What if you could charge your phone via WiFi? Nokia X starts sales in Kenya.